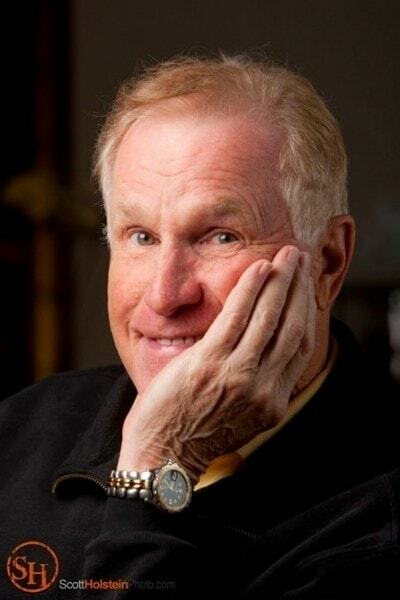 Portrait of Wayne Rogers in Destin, Florida. 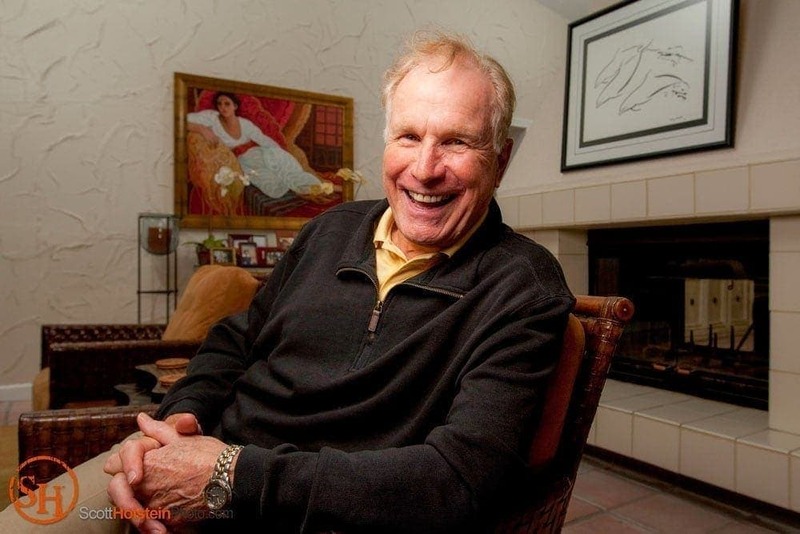 Wayne Rogers has passed away. He was an actor most known for playing Captain “Trapper” John McIntyre on the M*A*S*H television show of the 1970s. Also an investor, Rogers was more recently a regular panelist on the Fox News Channel show, Cashin’ In. I took portraits of Rogers several years ago for a cover story in Emerald Coast magazine written by Scott Jackson. I photographed Rogers at his beach condo in Destin, Florida, during Jackson’s interview. He was kind and laid back, giving us plenty of time to complete the interview and get the photos we needed, and he even posed for fan snapshots with us when the work was done. I took some unposed, ambient shots of Wayne Rogers during the interview to give the creative director and design team additional options. Then for his portrait session, I set up some lights in the living room and photographed him lounging in a chair. As is typical with photographing celebrities, Rogers was able to simply turn on the charm for the camera, which makes things easy. Lighting was simple; the main light was a small softbox in close to him at camera left. In some shots I bounced another light or two (also at camera left but further back) off the ceiling to raise the exposure of the background above the ambient level. You never know what’s going to happen during a photo shoot on location, and this time was no different. I still chuckle when I think back on it. Wayne Rogers and Scott Jackson were sitting on the couch, just beginning the interview as I was getting my gear situated. Rogers’ wife, Amy Hirsh, came in from a walk with their two Yorkshire Terriers. One of the dogs, Capo, immediately snapped its head around and locked its eyes on Jackson. An intruder! With a warrior yap, it charged right past me and toward him, transforming from a cute, little dog into a blur of fury. I watched in curious anticipation as it leaped into the air and sailed in slow motion towards the unsuspecting Jackson. Closer and closer it flew – eyes squinting with determination, jaws wide open – until it had reached him at knee-height, where his hand rested, and attached itself to the tip of Jackson’s finger with its tiny, sharp teeth. “Yeeow!” Jackson yelped in painful surprise while jumping out of his seat. I swiftly excused myself as Rogers and Hirsh tended to him. Once out of earshot, I erupted in belly laughter while feeling slightly guilty for my delight in Jackson’s misfortunes. He was fine, of course; he had Trapper John to care for the wound. Rest in peace, Wayne Rogers.